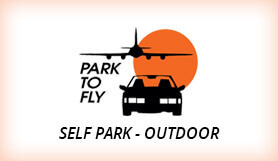 Park To Fly offer a safe and reliable parking service only 2.5 miles from Orlando Airport. Park To Fly can offer car care services such as hand car wash, on site full auto detailing and oil change all at a great rate. Immediate 24 Hour free transportation provided to and from the airport on demand. Valets / Car services available to book on arrival. $0.60 Airport Privilege added to booking cost, classed 'Additional taxes'. Please allow 10-15 minutes for parking and shuttle service to the terminal. On major holidays, please allow 15-30 minutes for parking and shuttle service to the terminal. For courtesy pick-up, claim your baggage then go to Level One (One Level below baggage claim). Call Park To Fly to be there to return you and your luggage to your vehicle in a matter of minutes. Take 528 East (Beachline), then take Jetport exit #8 and Turn right, PARK TO FLY is ahead on your left. Take 528 West (Beachline), pass the Airport Exit, then Take exit #8 McCoy Rd/Sand Lake. Continue onto McCoy Rd and Merge into left lane to Turn left at the traffic light. Under the bridge, make an immediate Sharp Right onto Jetport Drive. Pass Regal Marine on your left, PARK TO FLY is ahead on your left. Take Exit #26 to 528 West (Beachline), pass the Airport Exit, then Take exit #8 McCoy Rd/Sand Lake. Continue onto McCoy Rd and Merge into left lane to Turn left at the traffic light. Under the bridge, make an immediate Sharp Right onto Jetport Drive. Pass Regal Marine on your left, PARK TO FLY is ahead on your left. Take FL-15 S to S Conway Rd for 4 miles and turn RIGHT to Judge Rd. Continue onto Daetwyler Dr and Turn right onto McCoy Rd. Continue on McCoy Rd and Merge into left lane to Turn Left at the traffic light. Under the bridge, make an immediate Sharp Right onto Jetport Drive. Pass Regal Marine on your left, PARK TO FLY is ahead on your left. Take Exit #254 to 528 East (Beachline), then take Jetport exit #8 and turn RIGHT, PARK TO FLY is ahead on your left.